You're probably aware of the ginormous Christmas tree that lights up New York's Rockefeller Center every winter, the ice skating rink that appears in Chicago's Millennium Park, and *insert some third semi-nationally-well-known Christmas event or activity* but did you know there is a tiny town smack dab in the middle of Michigan where Christmas rages for 365 days a year? Nestled in between Saginaw and Flint near Michigan's "thumb" sits the unassuming city of Frankenmuth, home not just to the 5,000 some people who live there year-round but also to the largest Christmas store in the world: Bronner's Christmas Wonderland, a 7.35-acre retail space filled to the wazoo with every Christmas decoration, trinket, tree, and Nativity scene known to mankind that helps draw around two million visitors to town annually. 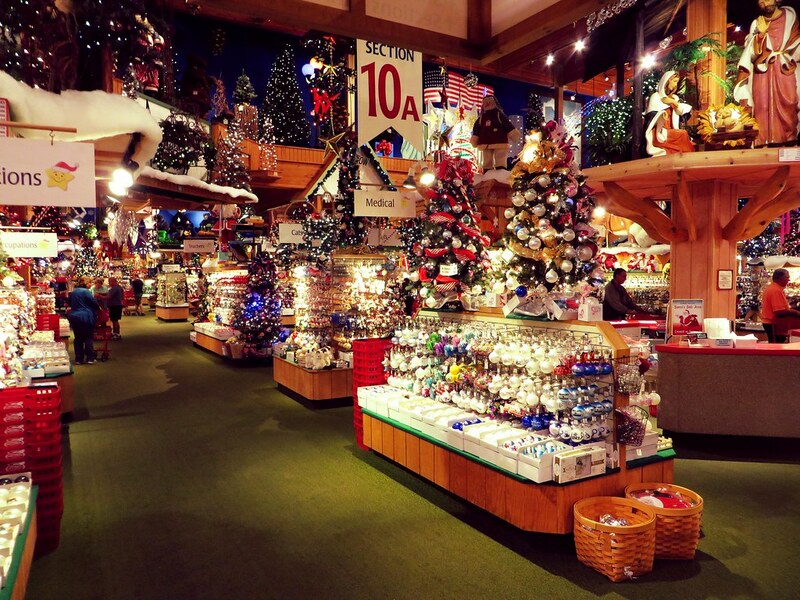 No matter what time of year it is, step into Bronner's and it's Christmastime. Founded by Wally Bronner in 1945, approximately 600,000 glass ornaments; 530,000 feet of garland; 150,000 postcards; and 86,000 light sets are sold every year, according to the always-trustworthy and completely-reliable Wikipedias. The city of Frankenmuth itself lights up magnificently during the holiday season, but, in true Christmas-is-everyday spirit, Bronner's half-mile-long Christmas Lane is illuminated every day of the year with upwards of 50,000 strings of lights for passersby to enjoy. And get this: in 1992, the store received permission from the government of Austria to construct a replica of a chapel found in the town of Oberndorf bei Salzburg, which is famous as the birthplace of the Christmas carol "Silent Night." The replica chapel sits at the south end of Bronner's 27 overall acres. Largely due to the existence of the massive Christmas store, Time Magazine named Frankenmuth one of the "9 Most Christmassy Towns in America" in 2011. "The town, nicknamed Little Bavaria, features charming Franconian-style architecture that enhances the Christmas spirit when tourists check out the holiday cheer," Terri Pous wrote in her blurb for Frankenmuth. The Old Christmas Station and the Bavarian Inn Restaurant provide great places to grab old-fashioned European bites to eat, including pastries like croissants and tiramisu and plenty of schnitzel(s?) — plus, the inn is probably where you're looking to stay to complete the true Bavarian experience while you're in town. If you're not planning on staying the night, however, due to time constraints or what have you, there really is no reason to worry because Frankenmuth makes for a great day tripping destination. I should know: when I visited some years ago, we only stopped for the afternoon on our way back upstate. And let me tell you: great pit stop.